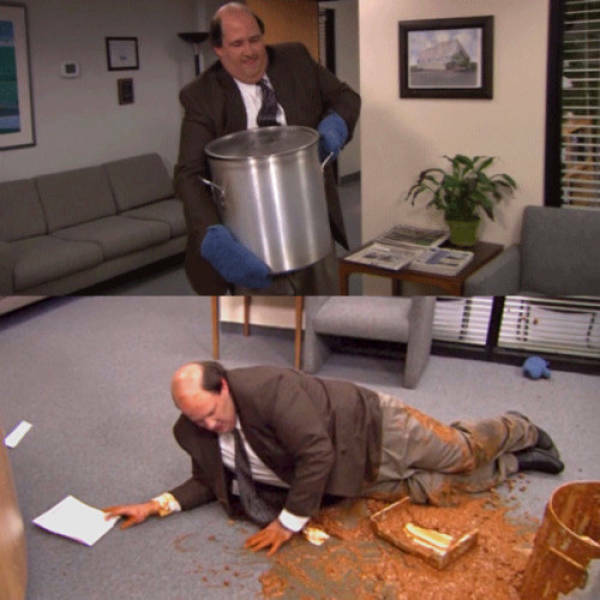 When Kevin stayed up all night to make his famous chili, but he dropped it on the ground. 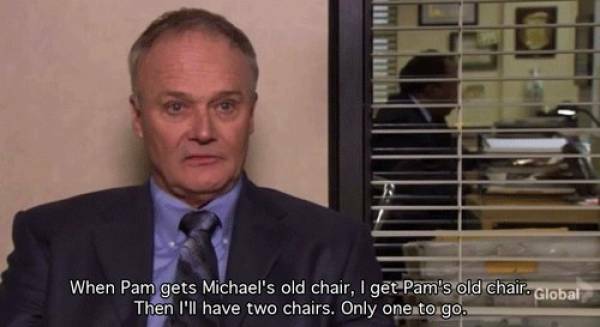 When Creed wanted to collect everyone’s chairs. 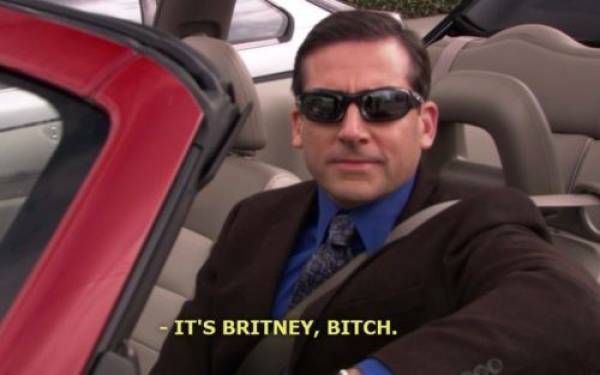 When Michael listened to Lady Gaga but had no idea who it was. 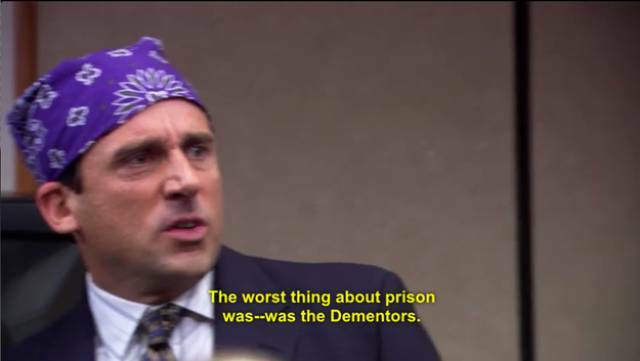 When Prison Mike revealed the worst thing about jail. 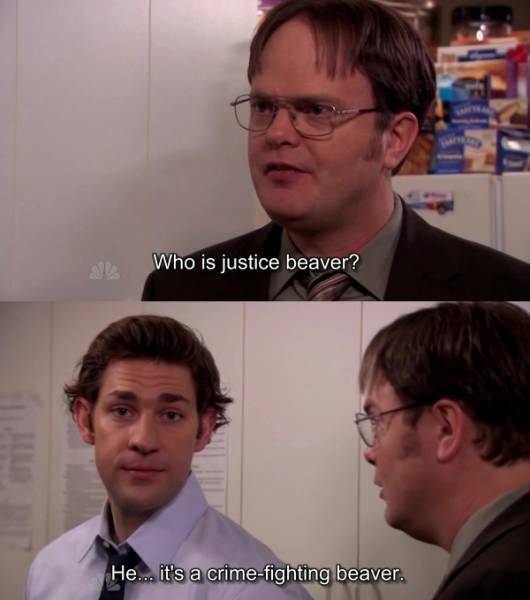 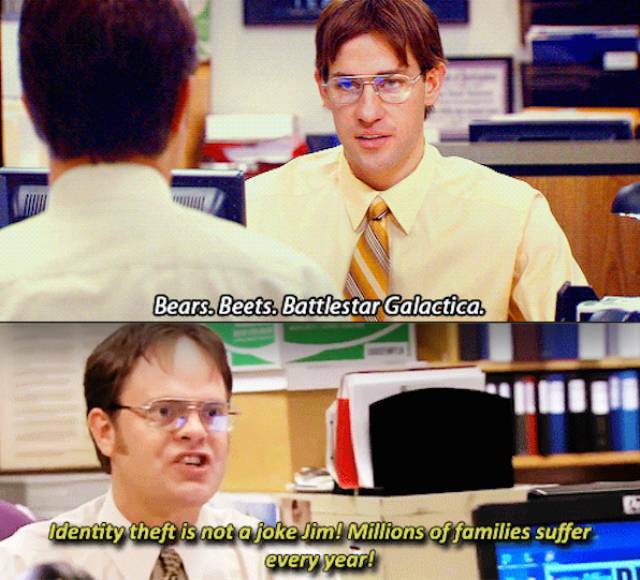 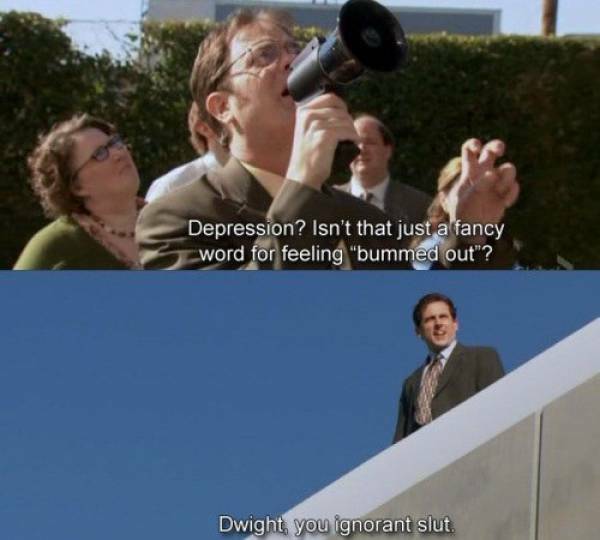 When Dwight had no idea who Justin Bieber was. 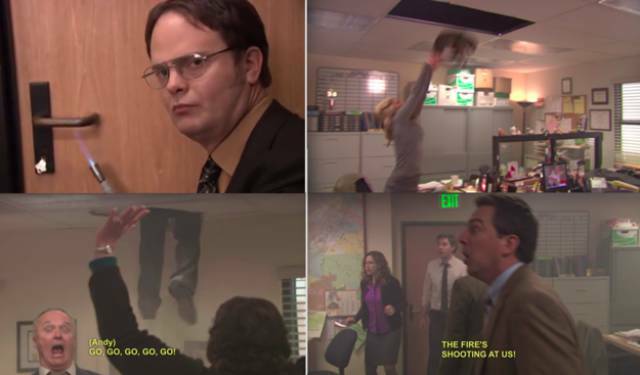 And literally every part from Dwight’s fire drill. 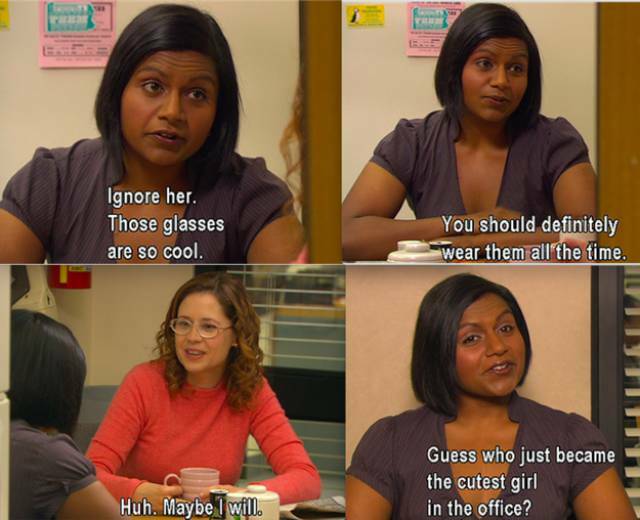 When Kelly tricked Pam into wearing glasses full-time. 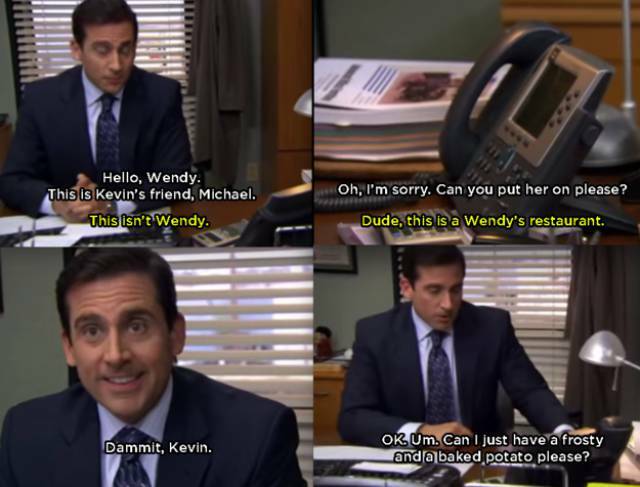 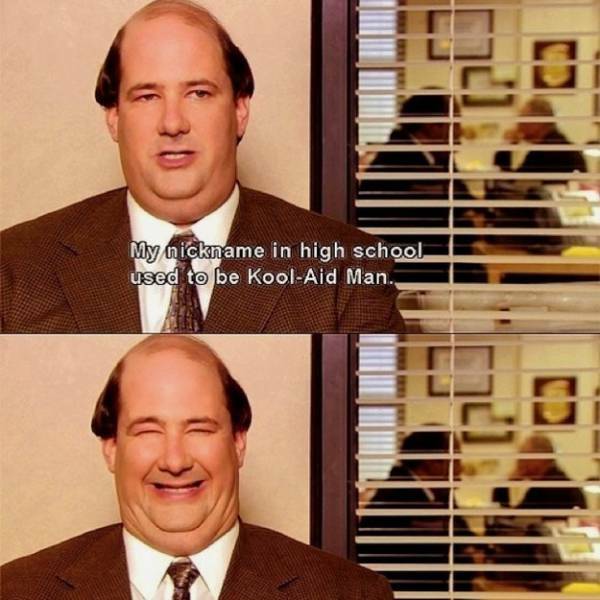 When Kevin tried setting Michael up with his friend, Wendy. 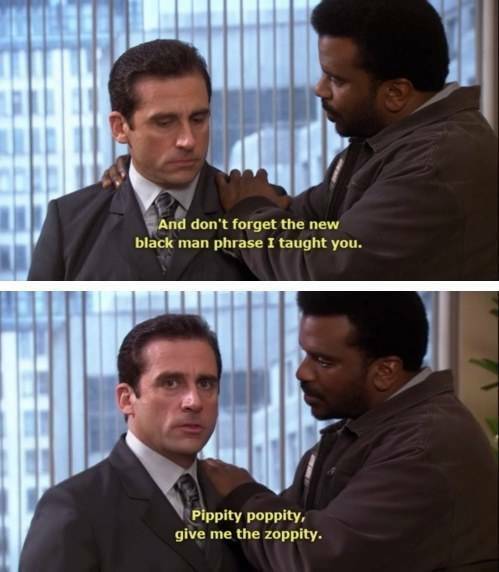 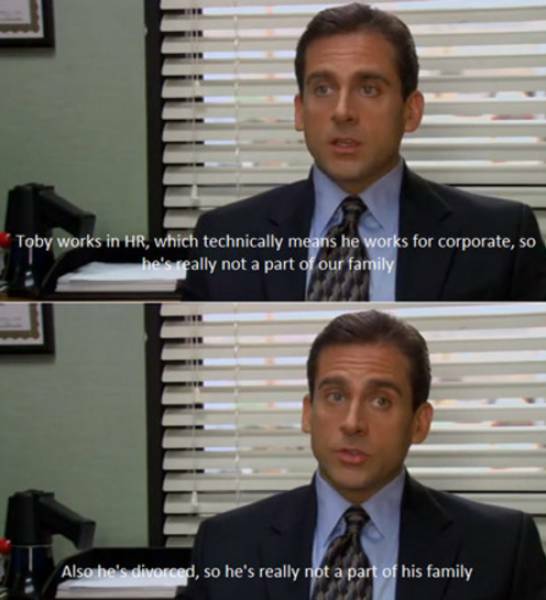 When Michael revealed his true feelings for Toby. 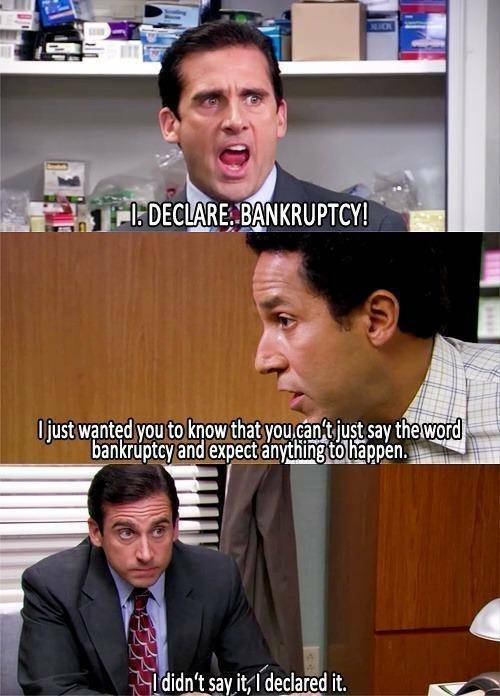 When Michael declared bankruptcy, but Oscar shut him down. 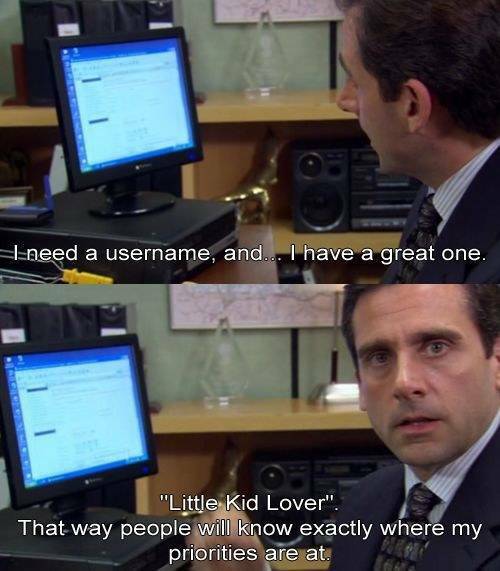 When Michael signed up for online dating. 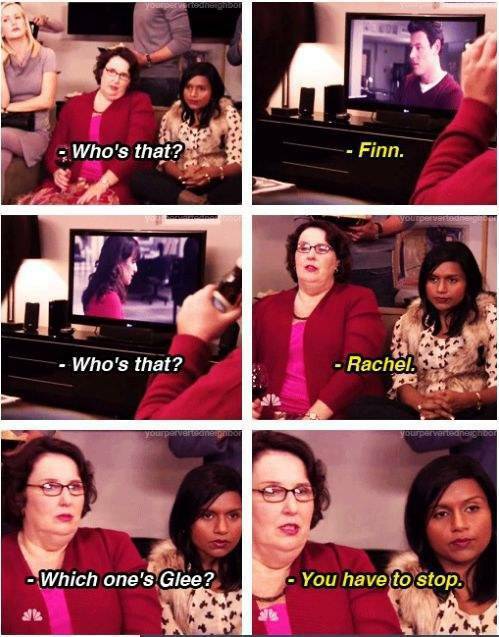 When Phyllis and Kelly tried watching Glee. 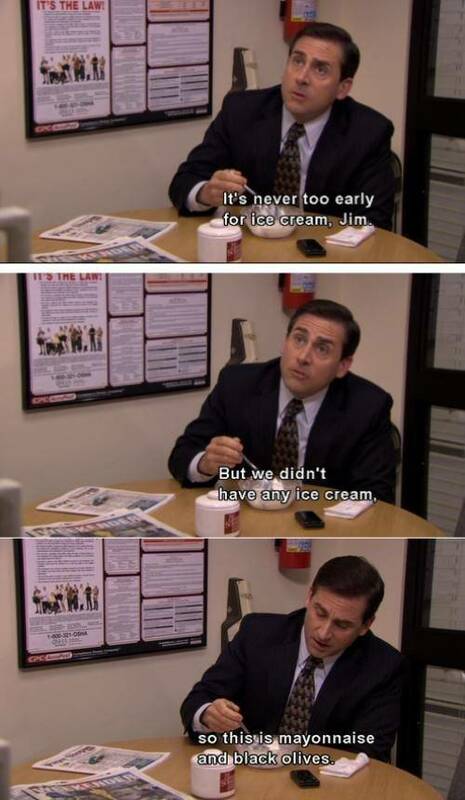 When Jim questioned why Michael was eating ice cream for breakfast. 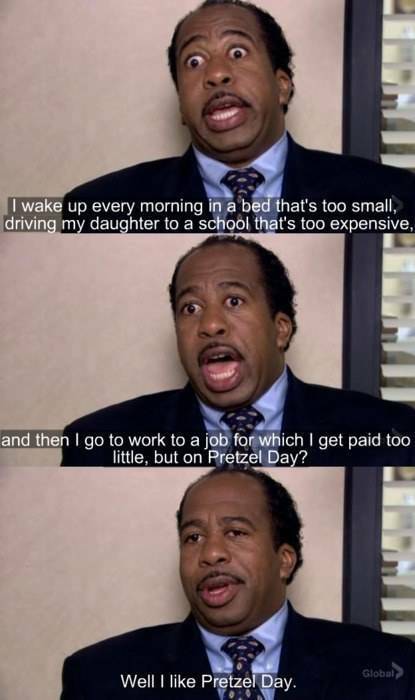 When we were all Stanley. 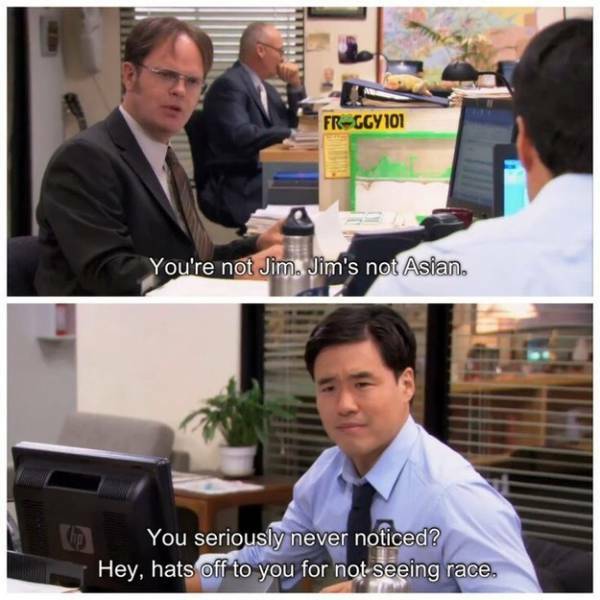 When Pam won her Dundie for having the whitest sneakers. 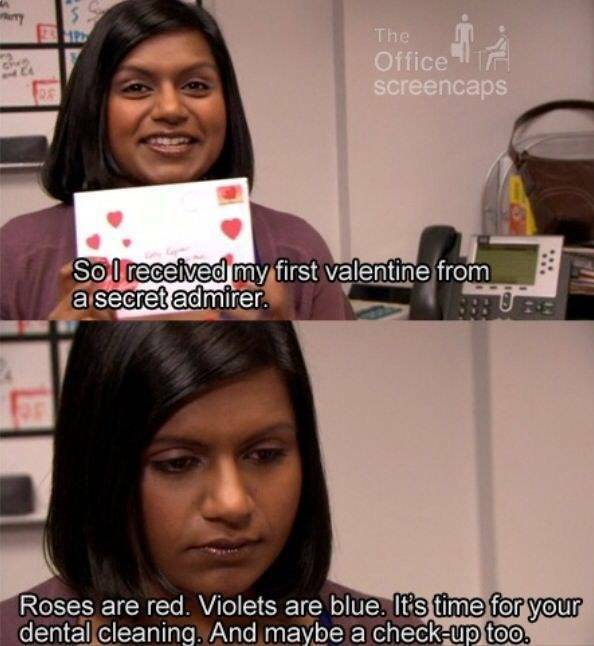 When Kelly got a special Valentine’s Day card. 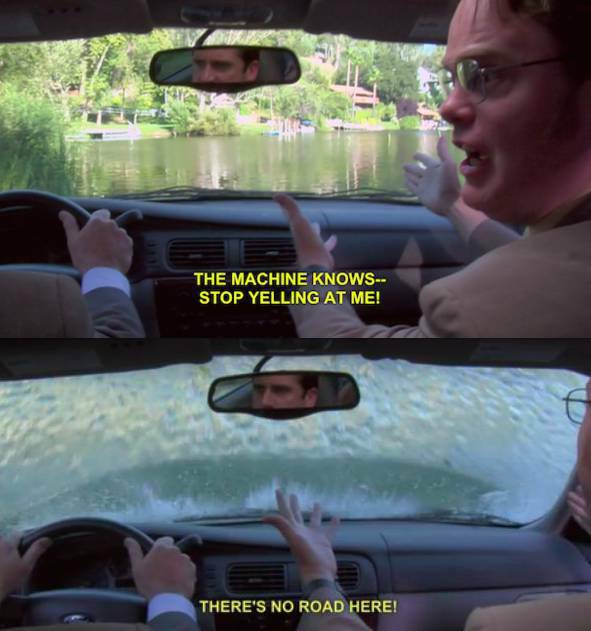 When Michael drove into a lake because the GPS told him to. 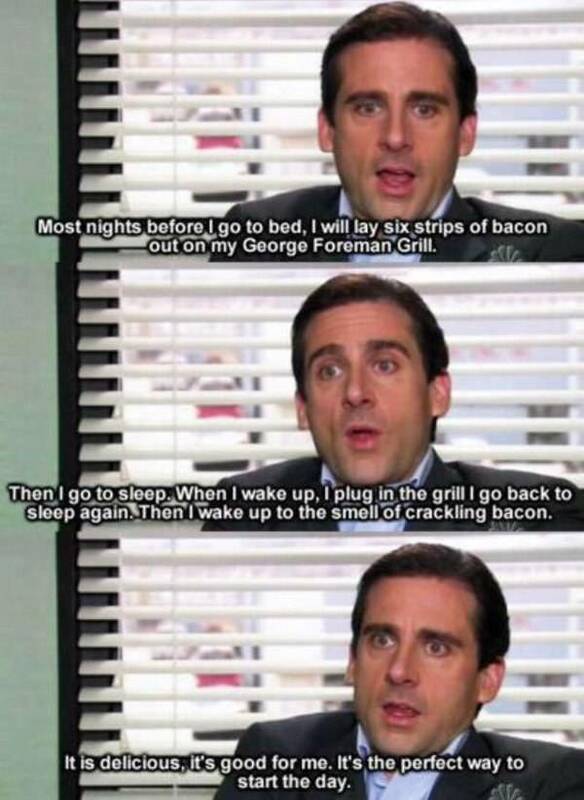 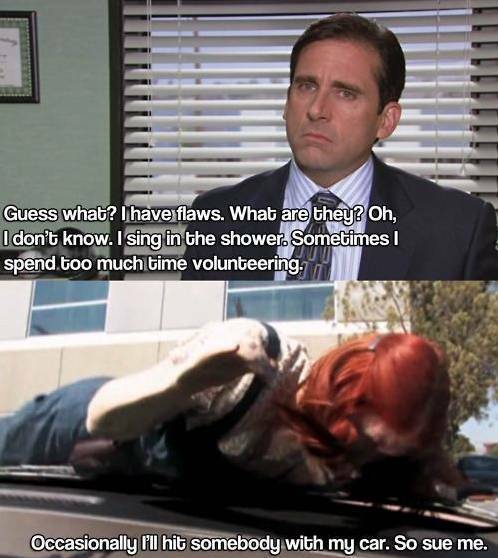 When Michael grilled his foot. 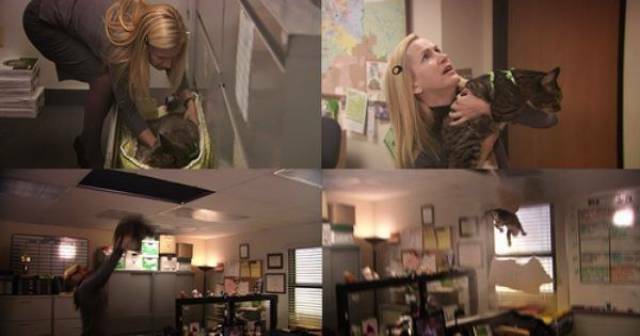 And, of course, when Michael hit Meredith with his car.